For a fix for the issue described here see this followup post. 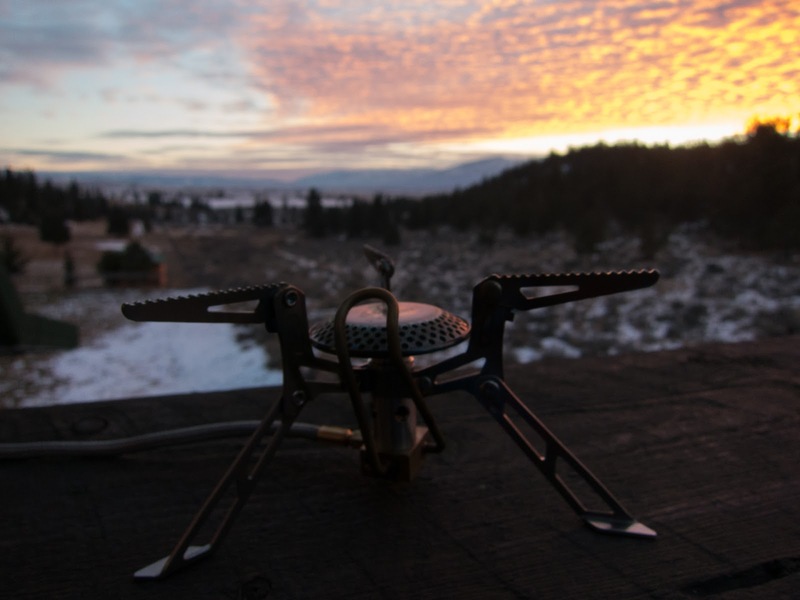 On first look the Fire Maple Fms-118 Volcano is a compelling stove for cold weather camping and snow melting but my testing has revealed that it is affected by a nasty sputter that keeps it from performing as well as the heavier and more expensive MSR Windpro II . Designed and built by Fire Maple, a Chinese manufacturer that builds stoves for several major makers, it can be found on ebay or amazon in the US. It offers a tiny packed size and 2800W / 9554 BTU output. It is fairly light and has also been moded to use the titanium legs from another Fire Maple stove, the fms-117T (also marketed as the Olicamp Xcelerator ) to achieve impressive low weight (see this thread on http://bushwalk.com/ for example). 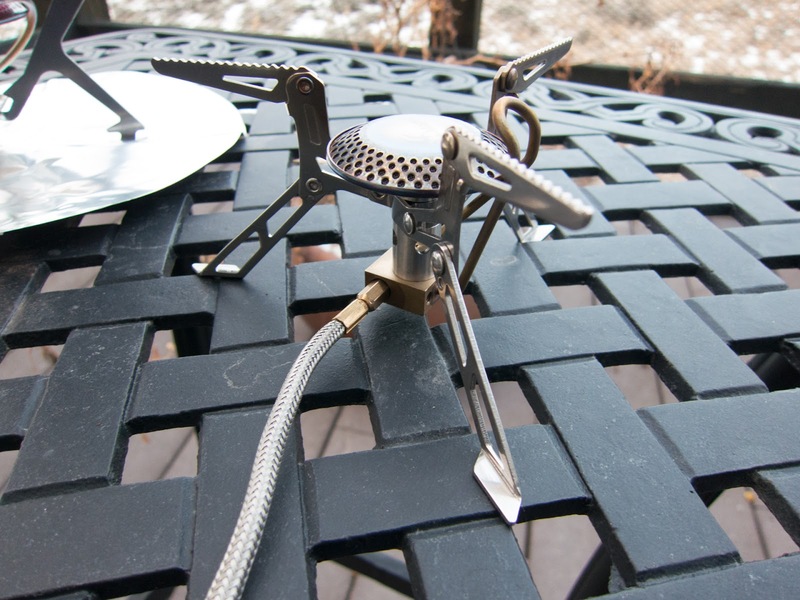 Most important it has an remote canister design and a pre heat tube which should theoretically allow it to work in conditions colder than the boiling point of isobutane (10.94°F /-11.7°C) with an isobutane/propane canister inverted to feed liquid fuel into the stove where it will be vaporized by the preheater. Steve House mentions this as one of the main advantages of the older MSR Windpro in his video discussing gear he used on Nanga Parbat. White gas stoves are the gold standard for cold weather use but the hassle of priming them and the necessity of frequent field maintenance and spilled fuel makes them dangerous for use in or near a tent and annoyingly slow for use at quick stops. For me a Jetboil stove stowed attached to a canister in its own heat exchanger pot offers the ultimate in convenience and efficiency. 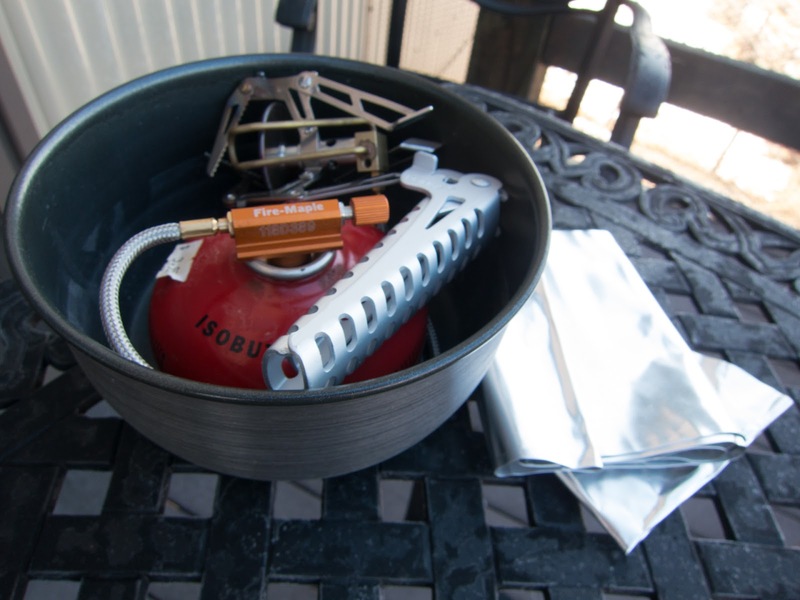 Unfortunately Jetboil (and other upright canister stove) performance degrades severely at low temperatures as more of the isobutane in the canister becomes liquid. The new Sol models improve things a bit with a pressure regulator in the burner that supposedly offers good performance down to 20°F. There are also various methods to keep the canister warm: body heat, a bit of copper wire wrapped around the canister with the end placed in the flame or a water bath. However, with these methods you are always fighting the cooling effects of expanding gas. We spent a chilly evening (about 0°F) nursing our Jetboil into melting a few litters of snow and haven't trusted it in cold conditions since. A stove like the Fire Maple packed with a small MSR canister inside a medium sized Primus heat exchanger pot has the potential to approach the safety, ease of use and efficiency of the Jetboil system while performing well in lower temperatures. FMS-118 packed in 1.7 L primus heat exchanger pot with attached canister and room for MSR wind screen and reflector base. Unfortunately, early testing reveals a fatal flaw in the form of a nasty sputter that appears a few seconds after the canister is inverted. FMS-118 sputter with inverted canister. To determine how prevalent this sputter would be in the field, I performed numerous tests on our porch while making coffee and tea on a daily basis over the last couple of weeks. Though I will report only qualitative results, I took a scientific approach and attempted to examine and control for factors that could effect stove performance across a number of conditions simulating the worst of what is encountered in the field. Even with the stove well preheated and fuel rate turned almost all the way down as the canister was inverted, the sputter always appeared after a brief time with the canister inverted in all conditions and is often accompanied by a smell of gas. I believe that the Fire Maple preheat tube is insufficient to warm the volume of liquid fuel it contains during use. Sputter persists even with excessive pre heating & use of a windscreen. For comparison purposes I tested an MSR Windpro II which has a much longer preheat tube and Jetboil Sol (actually a replacement burner bought as a spare part used with an old cup) in similar conditions. I'll do full write ups of how those stoves perform in the cold once I have done more tests, but to summarize early findings the Jetboil performed anemically with a cold canister despite its internal pressure regulator. 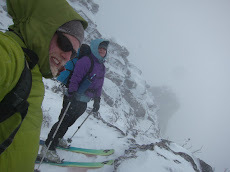 The MSR Windpro II reliably handled everything I threw at it. I even tried lighting it with a 2°F canister already inverted giving no chance for the stove to preheat. It fired right up and within less than a minute was producing the classic MSR rocket-like roar and boiling water faster then our (underpowered) propane kitchen range. Despite not packing quite as small or weighing quite as little as the Fire Maple it will be the stove we take on most winter trips. Even with the sputter the Fire Maple still boils water fairly quickly with an inverted canister in the cold. My main worry would be the risk of it going out or releasing fuel in liquid or gas form. It may earn a spot in our packs during the shoulder season when we don't expect to need to invert the canister. I may also look into methods to make it perform better by reflecting more heat onto the preheat tube and reducing its internal volume with a bit of wire as discussed on the thread on bushwalk.com. Thank you for posting this. It's very informative. The Chinese stoves don't really have the depth of experience behind them (yet) that some of their foreign counterparts do. Wrap the wire around the preheat tube to get more heat transmitting in to it. I tried something like that and it had no effect. The tube conducts heat really well and the whole thing gets quite hot, it just seems to have too much internal volume. Wire in the tube does seem to help. See my followup fix. If you are using the gas stove and wants to clean it then always clean it with care because one mistake can harm you.